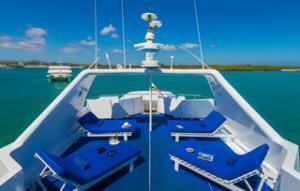 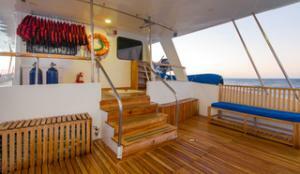 All cabins are very cozy and comfortable, equipped with air conditioning, private bathroom, hot & cold water. 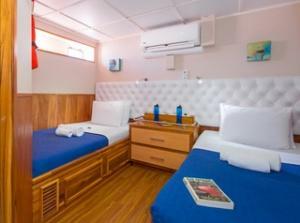 Our staff will take care of its comfort several times a day. 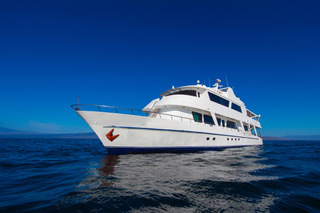 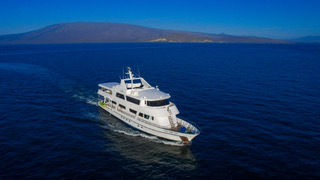 When arriving to our yacht, after your dives, you will be received with hot towels at the spacious diving deck where you will find one section which can be closed, to obtain a warm atmosphere for all our guests; al-Fresco hot showers; areas to clean the personal equipment, tables where to clean your underwater cameras, recharging station; individual gear bins; are additional services. The beautiful lounge and restaurant areas will be the perfect setting for a delicious breakfast, lunch or dinner; informative sessions and photo presentations will also be included.